WASHINGTON (CNN) -- The White House is quietly expanding its list of Hispanic candidates for the upcoming Supreme Court vacancy, sources close to the selection process tell CNN. 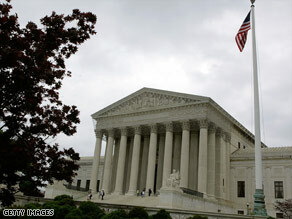 President Obama is expected to name his nominee to replace retiring Justice David Souter soon. Colorado-based federal District Judge Christine Arguello is among those being vetted by a small senior-level group of White House officials. She told a Colorado newspaper this week that she was recently contacted by administration staff and agreed to have her personal and professional records examined in connection with the high court seat being vacated by Justice David Souter. It was unclear how much serious consideration the 53-year-old former law professor and private attorney is being given, but administration officials say they are considering a diverse group of people for the seat, including judges, politicians and academics. About a half-dozen candidates are believed to be on the short list, sources say, and President Obama has met privately this week with at least one of them: Chicago, Illinois-based federal Appeals Court Judge Diane Wood. Arguello, a native of Buena Vista, Colorado, has been on the federal bench only since October, named by President George W. Bush in his final months in office. She had strong bipartisan support from her home state senators, Wayne Allard, a Republican, and Ken Salazar, a Democrat who is now interior secretary. Arguello was a deputy to Salazar when he was the state's attorney general, and sources say Salazar personally pushed the White House to have her considered for the high court. Salazar also is being considered for the Souter seat, but sources say he is not among the top names on the unofficial list. Hispanic and other groups met privately with House officials last week to discuss the high court nomination and were told that aggressive public outreach on behalf of certain candidates would not be necessary, sources said. Several prominent leaders of the community have quietly urged the White House in recent weeks to expand its list of Hispanic judges and lawmakers. "We have a wide array of experienced Latino and Latina attorneys, professionals, judges, who are ready to serve," said Estuardo Rodriguez, co-founder of Hispanics for a Fair Judiciary Coalition. "It is our responsibility as well to make sure that we are presenting these names to the administration for consideration across the board." Officials quietly confirmed last week that another surprise name was under serious consideration, California Supreme Court Justice Carlos Moreno, the only Democrat and only Hispanic on the seven-member state bench. Judge Sonia Sotomayor of the 2nd Circuit U.S. Court of Appeals is thought to be one of the top-tier candidates for the high court job. Sources say she has not met with the president but is expected to do so in coming days. The 54-year-old judge is of Puerto Rican descent. Sources say Obama has long been committed to creating a diverse pool of candidates for federal court vacancies but also conceded that the White House sees political advantages by ensuring that several Hispanic candidates receive greater public exposure. In other developments, Gov. Deval Patrick is no longer a contender for the high court seat, sources said. He has told supporters recently that he remains committed to serving out his current term in Massachusetts. He is an old friend of Obama's, and both attended Harvard Law School. Some Democrats and White House aides have been quietly promoting a former Bush administration official for the high court seat. James Comey was deputy attorney general from 2003 to 2005 and was an outspoken opponent of the administration's domestic wiretap and surveillance program. That won him praise from some liberal and civil liberties groups. Comey, 48, has no judicial experience, but some officials like his law-and-order credentials and his willingness to take tough stands on important issues. He is now a corporate lawyer at defense contractor Lockheed Martin, and sources concede that as a father of five young children, he may be unwilling to leave his lucrative position so soon to return to a government salary. There has been no word on when Obama would be prepared to announce his selection, but officials say it will not be before next week.